The Russian pianist and winner of the 2008 Sydney International Piano Competition talks Tchaik ahead of his Australian tour. When did you first realise that the piano was something you wanted to professionally pursue? How did you feel when you placed first in the Sydney International Piano Competition, as well as the People’s Choice Prize, and various other prizes in 2008? Honestly I just couldn’t believe it, was completely overwhelmed. Pianist Konstantin Shamray. Photo supplied. How did these achievements shape the trajectory of your career? What have been the most important lessons you’ve learnt since that time in 2008? What kinds of things did you think about when putting together your recital tour programme? Did you spend time considering which pieces would suit the celebratory occasion of SIPCA’s 40th anniversary? You played Mozart and Chopin in SIPCA 2008 – did you feel like it was appropriate to return to these composers now? I somehow didn’t think about what I played in 2008 when deciding on the programme for 2017, it is a pure coincidence. It doesn’t mean at all that I only play these composers. What is it about Tchaikovsky’s The Seasons that you like? Do you feel a close connection to this composer? I love Tchaikovsky. Sometimes I hear from people that his music is too “salon-type” or “too dramatic” or even “too sugary”. I can never agree with any of that. His music is way above any cliché and it speaks for itself. Not that many composers could speak straight from their heart with such sincerity, which inevitably makes him very vulnerable. Not everybody can be as sincere and receive his music only for what it is without ‘intellectualising’. It is why just a few ‘defenceless’ notes by Tchaikovsky are more difficult to play than hundreds of notes by some very “smart” composers (although I am not comparing anyone!) Tchaikovsky’s music can not be ‘figured out’ and it is utterly beautiful. Konstanting Shamray performs in Brisbane on October 7, Sydney on October 8, Melbourne on October 10 and Perth on October 11. How Tchaikovsky's The Nutcracker has become a magical Christmas tradition. 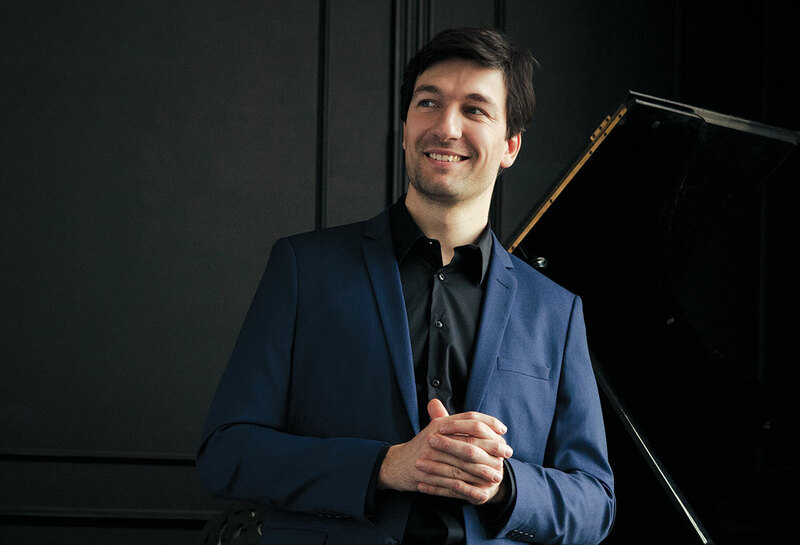 The Russian pianist tells us about his grandmother’s music, the magic of Prokofiev and what he’s been up to since the Sydney International Piano Competition. The Chinese pianist and 2016 Sydney International Piano Competition of Australia star tells us about his new album Four Worlds. Two years on from his Sydney International Piano Competition win, the busy Russian pianist tells us about new friends, new recordings and hearing your own inner voice. The 2012 Sydney International Piano Competition winner on career, competitions and the big breaks that got him started – including an impromptu duet with Yo-Yo Ma. German violinist Anne-Sophie Mutter talks about her mentor Karajan, climbing new music mountains, and stalking Daniil Trifonov. New kids on the block display a remarkable maturity. An eclectic mix of material from an exciting young talent. Konstantin Shamray brought plenty of pyrotechnics to this performance with the Adelaide Symphony Orchestra. Conductor Dan Ettinger and pianist Ingrid Fliter deliver a conservative program full of surprises. Currentzis whips up a passionate Pathétique to love or loathe.